MedExpress > Medicinal Products > Cialis > Should I Drink Alcohol With Viagra or Cialis? 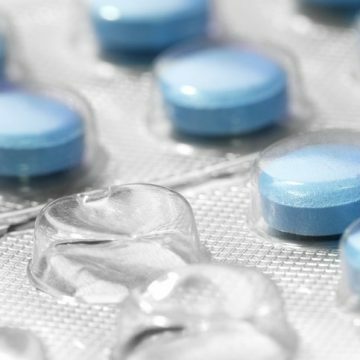 Two of the most popular erectile dysfunction drugs are Viagra and Cialis. 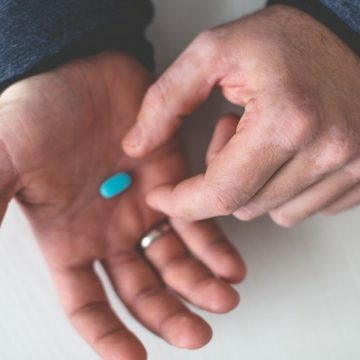 Although both medications are similar in many ways, they also have their differences – Viagra takes approximately 30 minutes to take effect, whereas Cialis takes 15 minutes. In addition, Viagra lasts for approximately four hours, whereas Cialis can last up to 36 hours. 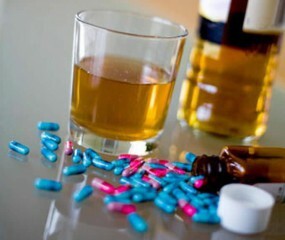 A popular question asked about these medications is whether or not they can be taken with alcohol. After all, alcohol interacts with the majority of medicines, as it thins the blood and can lead to them being broken down much quicker. These means that the drugs aren’t absorbed as well and won’t work properly. Normally, when alcohol is consumed, it stops the natural erection process. Therefore, when taking Viagra and drinking alcohol, the same concept applies leading to erectile dysfunction. This is more likely to happen if alcohol is consumed in large amounts. There is not enough evidence to prove that the consumption of a small amount of alcohol can lead to erectile dysfunction. There is not enough evidence to prove it’s safe to drink alcohol with Cialis. However, excessive amount should definitely not be consumed as it will most likely lead to erectile dysfunction. For more information, contact one of MedExpress’ friendly team.